AUGUSTA BERGERON: Dysfunctional. Deceptive. Demure. More than meets the eye at face value, and stuck in a holding pattern, the town siren engages in reckless behavior she attributes to maternal abandonment until she eggs-humes her mother’s quiche recipe. LINDSAY METCALFE: Pedigreed. Privileged. Proper. Mourning the recent death of her mother, the historian-in-residence hailing from Boston, sets out to preserve the legacy of an impoverished mill, but gets more than she bargains for when taking a self-centered adolescent under her wing. 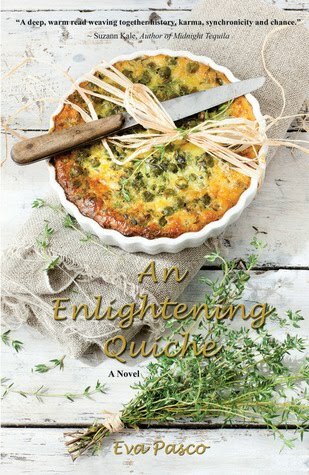 Their alternating first-person narratives relate how an heirloom quiche recipe and baking rivalry between two bosom buddies redress erroneous assumptions, misdeeds, unleashed secrets, and malicious intent—all of which wreak havoc, altering the lives of those affected from the fallout of a tragedy.